Winter is Coming from St. P.
Being unable to come up with any decent title for this post because I already used up all possible ones for my countless posts under the tag, let it be a reminder for me that this winter Vienna got the first snow exactly when I landed from Saint Petersburg. And then I was 4 hours late for work after the train stopped. Because Austria just can’t deal with 3 snowflakes. Indeed, why would a country with Alps know what snow is? Yup, surprise! I suddenly booked the next ticket available for Saint Petersburg, where I didn’t go since the summer 2016. Why that? Oh, there are a few reasons which are quite personal and are not all mine. Let’s just say I urgently needed to see my friends. Last time we all caught up was at Dasha’s wedding, and back then I was wondering when we will have a chance to reunite all together. My guess was that it can only happen at the funeral of one of us, since there are no more weddings on the horizon. Well well, I was almost about to be right. Anyways, its good to see my beloved city again, after 2,5 years. Honestly, I was waiting to go there together with Dani and open up this chapter of my life for him. But with our completely different working schedules and Russian visa application procedure, it is impossible to go for 2 days together. May all visa centrums of this world burn in hell. So, for now it was just me, hi. It was more about being with friends rather than partying this time. Also, partying is not very easy if the wind is so cold that your stomach gets frozen. Nevertheless, few times we warmed it up with some strong shots at iconic bars of St P, one of a kind which don’t compare to anything in Moscow or even somewhere in Zagreb. Special thanks to Elisabeth for creating a program for us on such a short notice. She is the real soul of Saint Petersburg for me since the day I met her, on the first week of studies at SPBSU, when she was snoring during class where everyone was shivering in horror from the professor. I can hardly express how much I love Saint Petersburg. Its vibe is impossible to explain, you can only feel it. And I feel it in all my buddies who live there, in every building, weird hipster exhibition/bar/popup store. All the bars where I used to go closed down or completely changed (as it happens every time I come to the city), so I trusted bar soul Elisabeth, and the choice was awesome! Just one night out and so many emotions, songs and hugs! Угрюмочная was super cool, with verysad barkeepers coming up with a customized drink for you based on how sad you claim you are. So simple and nevertheless so cool as a concept! There is even a vest to cry into hanging on the wall. Orthodox didn’t impress me that much. Had to wait 40 minutes for a gin tonic after I needed to explain to the bar chef how to make one. And gosh, what is this name? Bar 8, which didn’t even bother to get a website, thats how spb-classy it is, was the best! I never really partied in that part of the city in a conscious condition, so that was something completely new for me, and the spirit on Petrogradskaya side of the city indeed differs from the center I was used to. But the best part if shawarma at 2 a.m.! Ah, that Saint Petersburg shawarma! But I admit, this time it crossed all borders of shawarma amazingness I have ever reached before: I ate the BEST one in my entire life. No kidding! Will share this pearl with the world: Shawarma on Kronverkskiy prospect 45. Apart from shawarma, which remains the best part of my nutrition during those 43 hours in Saint P, we were eating only Asian fusions. I really lack those in Europe! Russian market of Asian food is something incredible, even though in reality it’s not proper authentic Asian, but some crazy hipster ideas a-la grilled cheese maki on a foie gras paste. Made in China was the coziest place, the best for companies on a weekend evening, when you still wanna hear each other and are not ready to dive into darkness, yet. Subzero is maybe too minimalistic, bit the short menu was great. Tiger Lily is a cool concept of a hidden-not-hidden-but-still-hidden place; music was exactly a playlist of the Viennese X club, the entire concept was something of a kind, too. New York inhabitants must get a lot of that, but for Russia it’s still relatively new and therefore cool. The food was delicious and the prices were surprisingly low for such a hype place. I’d recommend to go in the evening and feel their club atmosphere, somehow it seemed cooler than just during the cafe-hours. Tags: food, friends, memories, parties, places, Russia, SPB, spirit, travel | Permalink. Now a short review of my trip around Russia. Flying from Barcelona to Samara takes much longer now as we couldn’t fly over Ukraine. But I still like all those routes when I recognize the familiar cities. Hello, Cannes! 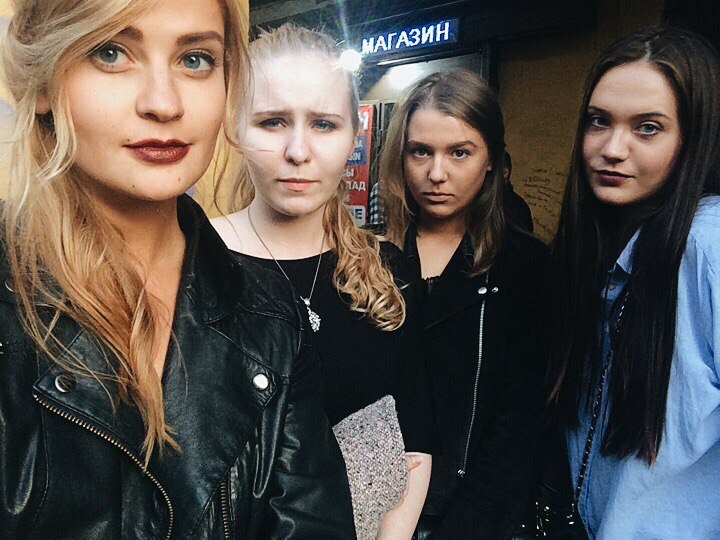 My first stop was parents’ place where I reunited with my best friends Polina, Daria and Ksenia. It is VERY rare that all four of us find ourselves in the same city at the same time. I can’t even remember such occasion since high school years. Usually we catch up in groups of at most three of us in different places: pretty much anywhere, from Ibiza or Barcelona to Italy; from Togliatti to Saint Petersburg; from Vienna to the mountain valleys. I can’t even describe how much I value all those meetings. Parents’ place, family dinners that turn into night swimming with floating wine glasses all around the pool; car racing around hometown and endless stupid but hilarious jokes that only we understand. Yes, please! Even cooler is our tradition to travel to Saint Petersburg all together after having met in hometown. It has been happening this way for couple years already and I absolutely love switching the city but staying with the same drinking buddies. 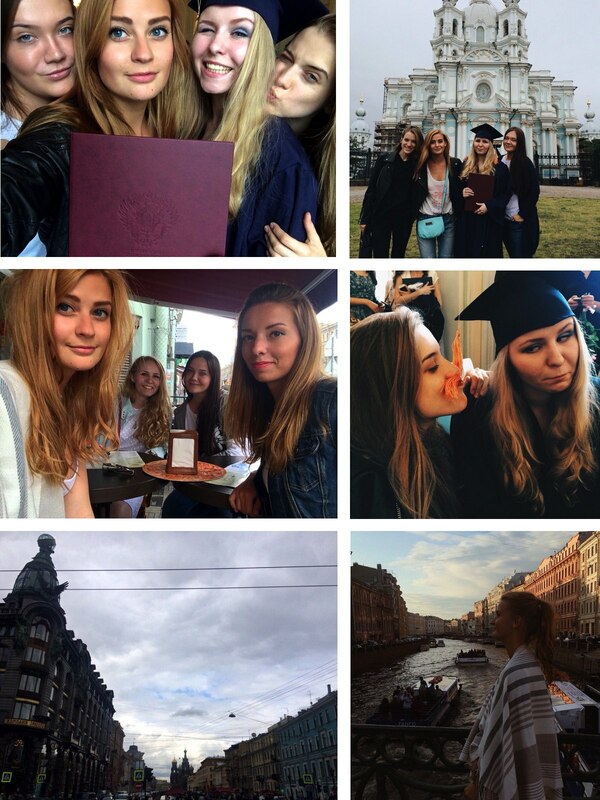 Another cool news is that Ksenia is moving to Saint Petersburg now! So, even more reasons to come back! Like if I needed reasons. So, Saint P was the next stop. My favorite city in Russia, forever. No other place like that in the whole enormous country, I bet. For those who don’t follow me for that long – I used to live there. Having moved to Vienna 4 years ago, I already lost the connection I used to have with the city. All the feelings seem to be very far away and rarely strike me with some weird deja vus; most of the places I used to call mine aren’t there anymore. But what I find fascinating – the people still are. I have some kind of strong friendship with all my friends who live in Saint P. And I am always very happy to see all of you, guys, no matter where life brings us, we seem to always stay on the same vibe. Last time in Saint Petersburg I wrote about the new places that caught my attention. This time we explored some locations as well, I can recall Bekitzer, Rubinshtein cafe, Buddy, Mickey and Monkeys and Zoom. All were decent, especially for the current situation with embargo in Russia. But honestly, nothing amazed me that much. It’s good to see that the city isn’t dying like many Russian cities now, but nothing that much exciting has popped up in my opinion. I am really looking forward to the next visit because the New Holland, place that I used to love when being a resident, is opening up very soon! Unfortunately I won’t see it, but at least there is something to come back for other than my amazing dudes there. Weird weather changes, strange but friendly people on the streets like Dumskaya; shiny beautiful houses which look like small palaces; making it to the other side before the bridges go up… This is all so Saint P. And we love it! This time even our parents joined us there later, so the trip was absolute fun. My last destination was Moscow. I am not a fan, the city is very hard for me to understand and deal with. But it has become much more comfortable to come there since my sis had moved to the capital. Now it’s always a pleasure to text her that I am gonna stay over and be sure that I will have the warmest host ever. Her fiancè picked me up from Sapsan, took my suitcase that looks and weights like a small coffin during this 3-months trip and drove me to the very center where I met with another very important person – my classmate Ira. So many people have moved to Moscow, that’s unbelievable! I am just very grateful to stay close with my elementary school buddies and always feel like we never parted when we sit next to each other sharing stories and laughing like crazy. I also met Rustam – FLEX crew power forever! And the rest of the weekend was devoted to family fun with my sis aka eat and drink at as many places as possible. I like this shifting around the places from one cocktail to another kind of leisure! She showed me around a lot; I liked TimeOutBar the best. Well, Moscow is definitely gorgeous. No crisis there at all. All rich and shiny; fresh flowers literally covering it all. Fabulous, of course. I have a lot of different thoughts about the Moscow phenomena though. But it doesn’t matter here, as a tourist you simply enjoy all the beauty and fairy tales around you! So, that was it for now with Russia. Earlier today I got on the connecting flight to Paris where I am expecting a huge plane that’s gonna take me to an amazing adventure around Cuba and Mexico. Thanks again to every single friend and relative of mine for making trips home so joyful. See you soon! 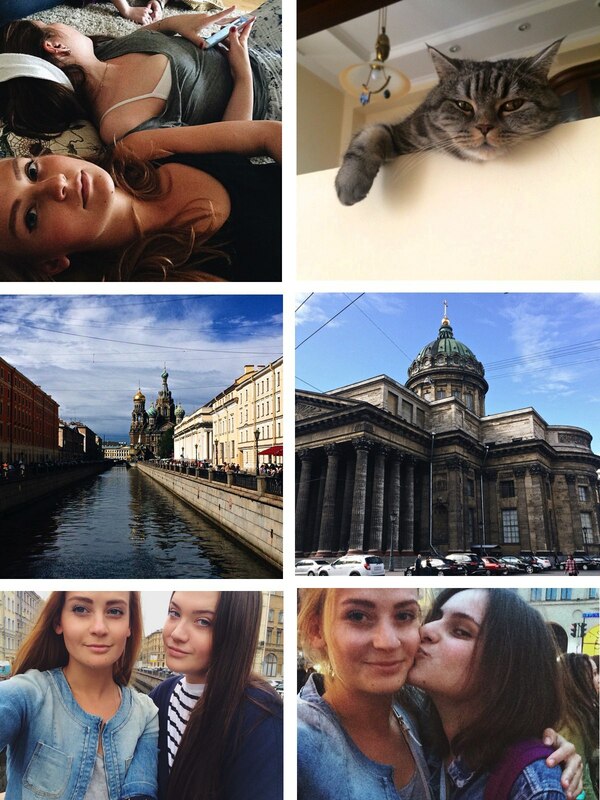 Tags: family, friends, memories, places, Russia, SPB, TLT, travel, vacation | Permalink. Russia! Radical weather changes within 10 minutes can mean only one thing – I am in Saint Petersburg! A bit more than a year had passed since our last visit to St P all together. A lot has changed, and now Ksenia is already almost a constant resident here. It makes me absolutely happy to realize all my closest friends live(d) in the best city of Russia at some point of their lives. And I love our tradition to meet in Togliatti and then fly to St P to continue the party. Right now I am more than enjoying my favorite Russian city, already met my friends and today even our parents joined us here for a family event that they decided to have in Saint Petersburg. Hope the tricky weather is going to be good to us though! 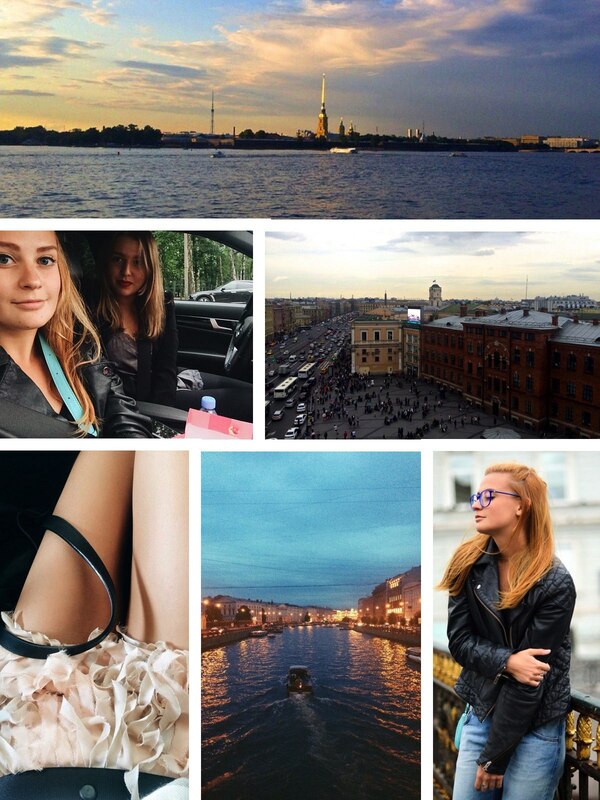 Tags: Russia, SPB, travel, UPD, vacation | Permalink. Может показаться, что в Питере мы только и делаем, что едим. И это не будет большим заблуждением. Но дело не в том, что нам настолько нечего делать, нет. В этот раз мы даже добрались до русского музея, и мне безумно понравилось (а так моя культурная программа закончилась в Петергофе в 2010). И в длинной прогулке от одного места встреч до другого порой заложено больше, чем в самом посещении места, ведь в Петербурге гуляешь словно в одном огромном дворце. Но вот такие мы. Дайте еду. Потому что там, где еда – там встречи с друзьями. А друзей мы любим. И еду. В общем, очередной максимально краткий обзор посещенных мест следует. Jamie’s Italian: это место позиционирует себя как очень уж крутое. В целом, конечно, очень прилично, кухня не страдает. Но страдает менеджмент и персонал. Официанты забывают; отличить газированную воду от негазированной не могут так же, как и теплую от холодной. И будьте готовы к чрезмерной импровизации поваров: в меню не была прописана половина ингридиентов, которые в итоге оказались в наших тарелках. Так что если у вас на что-то аллергия или вы (как я) предполагаете, что в блюде «коннелони с рикоттой» будут коннелони с рикоттой, а не коннелони с рикоттой, томатным соусом, шпинатом и лимоном, то уточняйте все несколько раз. И там темно. Но еда все равно вкусная, порции небольшие, что позволяет попробовать несколько разных блюд. Лучше берите горячее, супы потрясающие, а из хлеба ограничьтесь фоккачей – пицца нас не впечатлила. Хотя, настоящая итальянская пицца и не должна впечатлять как американская. PMI: будь у меня куча денег, я бы там поселилась. Персонал, конечно, снова страдал и пытался посадить 4 человека с бронью за огромный неудобный стол для тысячи, через который не доораться. Но это все было легко исправлено по нашему желанию. Мы шли туда уже после ужина с намерением выпить интересных коктейлей, но все равно попробовали кое-что из молекулярной кухни, и мне все понравилось. Ну а коктейли… это сказка алхимика! Помните вуншпунш? Их веселье отдыхает по сравнению с тем, как интересно преподнесены коктейли в пиэмай. Обязательно попробуйте базиликовый! Хотя, они все были огонь. А цена, кстати, не удивила неприятно, если помнить, что у меня с коктейлем шел рефилл, так что получила я два полноценных бокала райского напитка. Там все очень красиво и интересно, это как в икее впервые оказаться в детстве. Не представляю, как такие места окупаются, но туда обязательно стоит зайти, пока оно еще успешно на плаву. Dead Poets: в Питере так быстро все меняется, и там стооолько баров, что я уже не успеваю их запоминать. В этом мы тоже были недолго, и из еды у нас был только салат, но он был прекрасен! По-диетически прекрасен, при чем. И вот тут нас порадовал персонал: в меню не было ничего клубничного, а я мне хотелось, и бармен сразу же предложил мне намешать все, что я бы хотела в моем дайкири, что получилось у него отлично. Мы совсем растаяли, когда Лизе, которая была за рулем и грустно отказалась что-либо заказывать выпить, принесли красивый безалкогольный коктейль как комплимент от заведения. Так что если вы – шумная компания девушек, которые любят персонализированные коктейли и внимательных барменов – вам к ребятам в dead poets. Leica: я была там еще когда она только открылась, спустя пару лет, и теперь снова. Когда мне куда-то надо на Грибоедова, что происходит постоянно, а на этой длиннющей улице особо негде сесть – то мы обязательно заканчиваем в Лейке. Единственный минус( к тому, что я только что не нашла их сайт): я не люблю полуподвальные помещения. Но само место стало только лучше с открытия. Что меня завоевало: завтраки! Там есть самые настоящие завтрак-сеты, которые я везде ем в Вене. То есть не отдельно заказывай себе кашу, блины, яйца и всякие дополнения, жди это сто лет, ешь в странном порядке и разорись, а получи на огромной тарелке все вместе от омлета и салата до сэндвичей и фруктов. Я не знаю если честно, насколько это мода добралась до России, может такое уже есть везде, и я восторгалась напрасно. Но четыре года назад такой завтрак было днем утром с огнем не сыскать, так что я была просто счастлива. Vinostudia: мы уже были зимой в той, что на Рубинштейна, а теперь я побывала в той, что на Конюшенной. Сам концепт мне нравится, и вино у них действительно очень хорошее и доступное. Но лучше приходить сытым. Того, что хотела Женя, не было, а такой же салат, как я попробовала в dead poets (свекла, фета и сметана – много ума не надо), был похуже. И меня всегда напрягает, когда все столы находятся вдоль барной стойки, и бармены и официанты уши греют. Но там не так уж плохо, не подумайте! Бизнес-ланч или посиделки с компанией за бокалом вина – да. Счастье: ну, там все по-старому. Как всегда предельно мило и сладко все, от атмосферы и ангелочков над головой до домашнего лимонада. Счастье меня никогда не удивляет и не расстраивает, там стабильно приятно и вкусно. Большая кухня: ооооох! В Питере так немного видовых мест, что, отхватив такое расположение, они могли бы кормить гостей чем угодно вообще. Но отдам должное и поварам, и персоналу – все на очень высоком уровне! Моя еда была безупречна, как и все наше вино. Может слишком заморачиваются с красивым преподношением, из-за чего становится немного сложно есть некоторые закуски, но красота в еде тоже важна. Мне очень понравилось все, от вида, мягких диванов и пледов до нашего внимательного официанта и правильного подхода в непредвиденной ситуации: когда мы сидели, Галерею начали эвакуировать из-за очередной угрозы теракта. И даже это не создало никакой суеты и ничуть не подпортило наш вечер. Тогда за нашим столом еще собралась такая большая и веселая компания, что это был, пожалуй, лучший ужин в Питере на этот раз. Grizzly bar: еще одно место, которое всегда выручает, если нужно усадить огромную толпу, которая потом будет шуметь. Там огромные столы, быстрые официанты, и никто не будет говняться на смех и крики нашей большой толпы. Коктейли вкусные, еда идеально-жирная, а музыка достаточно громкая, чтоб можно было обсуждать что угодно. С тех пор, как Гриззли открыли, мы неизменно собираемся там большой компанией в каждый мой приезд. Да и писала я про него раз пять уже. Пряности и радости: хачапури! Берите хачапури! Как показал дальнейший опыт, его можно брать в любом гинзовском месте, но там он нам особенно полюбился. Да и все меню этого места – это такое разнообразие! Там вам и настоящие завтраки, и русский борщ с котлетами, и грузинская еда. Обычно я не люблю места вроде какого-нибудь иль патио, где смешано все несмешиваемое, но здесь это как-то иначе выглядит. Вообще, мнение, что гинза всегда идеальна – заблуждение, во Франческо на Суворовском, например, очень не очень. Но в «пряностях и радостях» мы отлично наелись, откинулись на удобные диваны и чуть не захрапели, так там умиротворительно и уютно. По возможности садитесь на веранде! Завидую жителям Петроградки, что у них под боком такое местечко. Этажи: все пространство всегда вызывало во мне какие-то смешанные эмоции. Там как-то все очень несуразно. Вроде бы много интересного, а вроде бы и как-то все коряво. Но «зеленая комната» мне полюбилась еще 4 года назад за их хотдоги! В этот раз мы пошли туда с целью потратить где-то весь день и засели на террасе. Почему весь день? Потому что там на вас всем пофиг. Если не махать знаменами и не кидаться обувью, официанты вообще за день не подойдут ни разу. Там можно просто сидеть и смотреть на небо. Но если вы добудете меню и официанта и готовы подождать часик свой заказ, то смело набирайте еды – она простая, но классная. Мы ели оладьи из мяты, брынзы и базилика – это очень странное сочетание точно нигде не найдешь. Мне понравилось, Ксюше – нет, так что выбирайте вдумчиво, это все-таки вся ваша еда на много часов! Даблби: там же в Этажах открыли Даблби. Могу сказать одно: раф – вкусно, местоположение (он еще есть в Ткачах) – катастрофа! Два пластиковых столика и ничего вокруг. Как бы вкусно ни было, все-таки сидеть хочется в более комфортной обстановке. Я бы отправила всех в Кофе22 – раф такой же вкусный, но еще есть супер крутые закуски, и атмосфера радует. Но если с собой – то Даблби прекрасно подходит. Библиотека: вроде всем там нравится, и там норм, но что-то не так для меня оба раза, что я там была. То ли порции слишком маленькие, то ли ждать слишком долго, то ли чересчур чопорно. Хотя еда вкусная, и очень приличное сухое вино на ланч наливают за копейки, что у нас редкость. Нормально там. В этот раз мне понравилось даже больше, чем в соседнем Маркет Market place (хотя раньше я его обожала), где было очень уж суетно, а еды на выбор – непривычно мало. Но как-то в Библиотеке очень уж по-бизнесланчному было: тишина, мужики в костюмах, музыка не очень, скучно. Хотя, может, это все погода – за окном в тот день стеной шел ливень. Union: там классно! Не смотря типичный для питерских баров на маленький размер, который иногда приводит к ужасной толкучке, там было вполне культурно все; готовят еду, что всегда победа для любого питейного заведения; диджеи – приятные ребята, разрешающие танцевать рядом с ними у диджейской стойки; публика вполне приятная. Единственный огромный минус – нет разнообразия шотов. Только парочка шот-сетов. А если мы огромной толпой танцуем, я хочу подбежать к барной стойке, опрокинуть вкусный шот и вернуться??? Ждать шот-сет и пить его еще несколько минут или собирать на его распитие всю компанию далеко не всегда хочется. Не очень понимаю, почему не поставить в меню хоть какие-то одиночные шоты, это ведь делает бар! Тем более в таком веселом месте, где люди отплясывают уже с самого начала ночи, а не чинно потягивают лонги за светскими разговорами. Но бар все равно – высший класс! King Pong: просто берите пад тай! Это в принципе моя любимая паназиатская еда, а там он просто великолепен! Я всегда разрываюсь между тем, что с курицей и тем, что с креветками или с говядиной. Там же все смешано в одном. И любимый наш прием при готовке любой лапши – обжарить ее с орехами! Не ожидала, что где-то я найду такой идеальный пад тай. Я очень расстраиваласб временному закрытию любиого Длинного Хвоста, но Кинг Понг его переплюнул. И мне понравилось, что там так просто; не нужно даже если бронировал тысячу лет ждать стол, все быстро. Такой и должна быть паназиатская еда в моем понимании – просто и быстро, а не среди хрусталя и бархата, что можно зачастую увидеть в восточных ресторанах в России. Короче, нам очень понравилось, а их пад тай делит в моем рейтинге первое место с тем, что подают в признанной во всем мире Patara Thai. Это не все места, которые мы успели посетить в этот визит, но те, о которых есть что сказать. Как всегда порадовала Думская, конечно; я впервые попробовала пироги в Штолле (что удивительно, если вспомнить, что я жила в Питере), и мне понравилось! Я вообще поклоняюсь гастрономии Петербурга. Она однозначно бьет для меня все то, что я пробовала в Москве. Конечно, мне нечего сказать о каких-то «высших» московских местах, но и не хотелось бы. Вкусная еда – это такая важная и большая часть жизни, что хотелось бы, чтоб она была на виду и всем доступна. И огромное количество питерских мест выполняет мое пожелание. 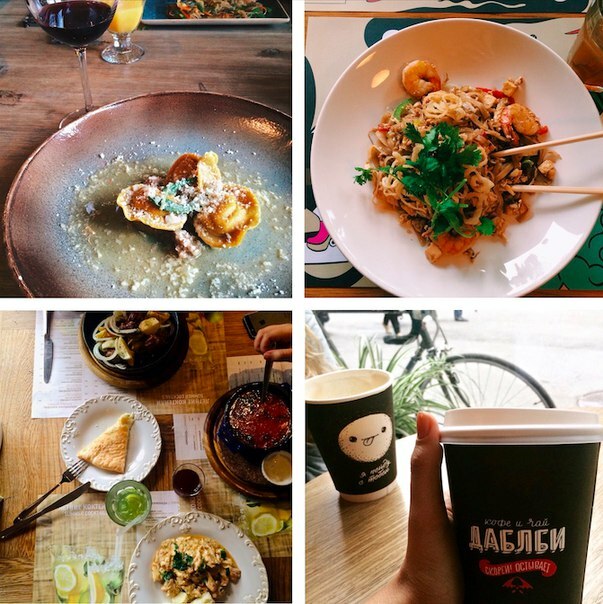 Tags: food, memories, places, Russia, SPB | Permalink. вам тоже кажется, что это фотография подошла бы для постера очень плохой пост-панк группы? Не перестаю удивляться тому, как сильно все любят Питер, не смотря на его ужасную погоду, серость и множество неудобств большого русского города. За что я сама его так сильно люблю, я так и не поняла. Я была уверена, что после перерыва в 2 года я совсем забуду город, как забыла Тольятти спустя годик. Наверное, так и было в какой-то мере. Но после зимней поездки нас вдруг снова неожиданно туда потянуло. Я все-таки склоняюсь к тому, что для меня все обаяние уже не в самом городе как раньше, а в моих чудесных друзьях, которые там по-прежнему живут. И если они все его выбрали и за что-то так сильно полюбили – то и мне он не может не нравиться каждый раз. Не сосчитать, сколько недель, месяцев я в сумме провела в Петербурге, но я рада каждому из них, какие бы воспоминания оттуда ни увозила в свое время. В этот раз чуда не произошло, и всю неделю шел дождь, и держалось 10 градусов. После венских стабильных +38 контраст я более чем ощутила. Еще и горячей воды не было. Весь русский колорит ударил по мне контрастным душем, в прямом смысле. Но хоть планы сидеть под жарким солнцем в Петропаловке и ездить за город на дачу и не осуществились, я все равно была очень довольна, ведь я увидела всех-всех, и со мной еще и снова летала Ксюша. Я не брала с собой фотоаппарат, потому что мне уже знаком каждый угол на знакомых питерских маршрутах. Так что полноценный фотоотчет теперь состоится только из Италии, куда я полечу из Вены, куда уже сейчас лечу из Тольятти. Обожаю мотаться! А из Питера еще будет традиционный пост с местами, которые нам понравились. Спасибо еще раз всем за такую чудесную неделю, которую не смогла испортить даже типичная питерская погода. До встречи в Италии! 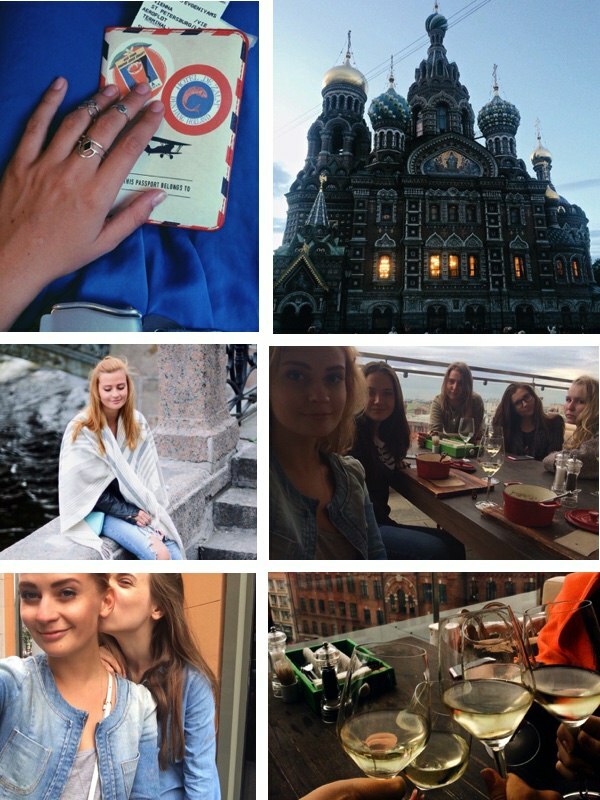 Tags: friends, Russia, SPB, travel, vacation | Permalink. Tags: Firenze, Italia, memories, places, SPB, thoughts | Permalink. Coffee 22 как я поняла, одна из новых очень популярных кофеен наряду с Даблби (где мы были только мельком, закупаясь модными штучками в Ткачах). В Кофе 22 уютно, чем-то напомнило мне старый Кофе на кухне, только попросторнее. И там есть полноценная еда! Что для кофейни всегда плюс. Я раньше не знала, что такое раф, а тут попробовала сразу несколько вкусов и осталась очень довольна. Где в Вене его найти? Вдруг кто знает, маякните мне! о Cococo я уже столько слышала от всех, кто живет в Петербурге, а про фотки маминого любимого цветка вообще молчу! Я была уверена, что увижу в лучших традициях Петербурга мегамодное хипстерское место, но ресторан оказался очень простым, а еда – сытной и вкусной. Ничего лишнего, отличное небольшое меню и, конечно, я не могла не попробовать тот самый десерт – вау! Я-то думала, что там обычный шоколад с шоколадом в шоколаде, а это оказалась целая задумка из халвичного мусса, брауни, разных шоколадов и мороженого с перцем. Думаю, это уже заслуженно самый популярный десерт в России. Моцарелла бар: туда мы побежали под снежным ливнем с Женей, потому что находится он совсем рядом с Лууком, где она на тот момент работала и куда я зашла вытащить ее поболтать со мной о самом главном. Ну, вы нас поняли. А в моцарелле не оказалось народу, что было вообще идеально для нашей болтовни. Там не только итальянская кухня, как можно подумать по названию, там вообще все намешано. Это то, что меня уже так удивляет, но одновременно радует в российских заведениях: вот это смешение. В Европе едва ли встретишь ресторан, где подадут хоть пасту, хоть роллы, хоть бургер, а для нас ведь это обычное дело! Мне уже очень непривычно это осознавать, но если заведению удается приготовить все одинаково вкусно, не специализируясь на конкретном направлении – почему нет? А филадельфия, по которой я так истосковалась и которой за то утро съела 3 порции, была просто идеальная! Гризли бар у меня на том же положении, что и Длинный хвост: открылся давно, но не при моей жизни в Петербурге; а раз нет связанных с бывшими воспоминаний – место из новой жизни, ходить можно. А в Гризли еще и нужно! Только там можно сесть за огромный стол большой компанией, шумно себя вести и никого не беспокоить. И коктейли у них отличные. Хотя отсутствие в большинстве мест хорошего вина по бокалам меня удручает. о Виностудии мне рассказывала увлекательные истории Женя, когда приезжала ко мне. Я сразу решила, что мы обязаны туда сходить, и пить я люблю только вино. Там мы начали отмечать День рождения нашей Ксюши! Рейд по Рубинштейна последовал, а закончили мы уже в тлт! …забавно, что и у меня, и у Полины, и теперь у Ксюши были Дни рождения, которые начинались в Петербурге, затем мы вместе летели и оказывались в Тольятти. Зато не было грустно улетать. Нас проводила Лиза, которая вообще почти все время посвятила нам и заботилась о всем нашем досуге в ее городе. Ее чудесная мама на танке отвезла нас в аэропорт, нагрузив икрой и красной рыбой. Мне плакать от счастья хочется, когда я понимаю, какие у меня чудесные друзья! И да, теперь я могу ездить в волшебный Петербург именно ради друзей, большинство из которых живут там. Безумно рада была встретиться со всеми! Обязательно постараюсь больше не делать перерыв в 2 года и скоро снова заехать 😉 Лиииза, приезжай теперь ты ко мне! 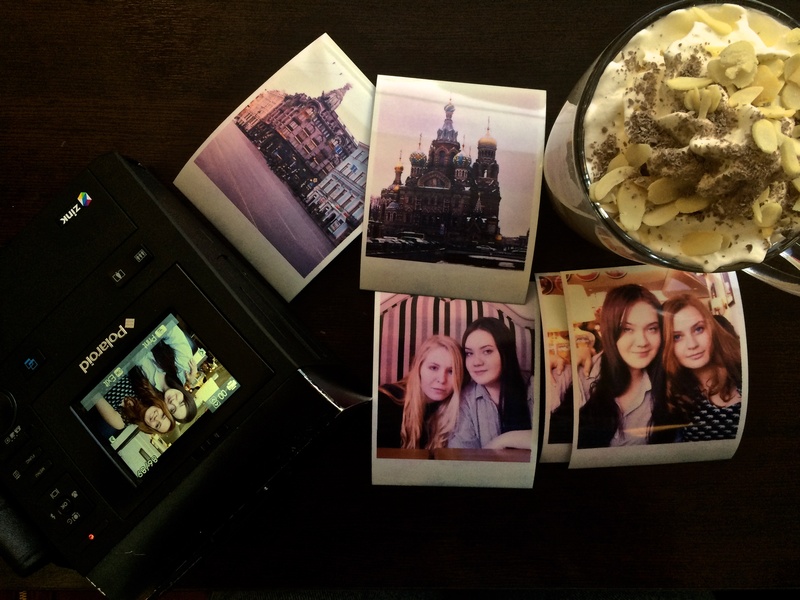 Tags: food, friends, memories, parties, places, Russia, SPB | Permalink.